10AM in the Hayloft. 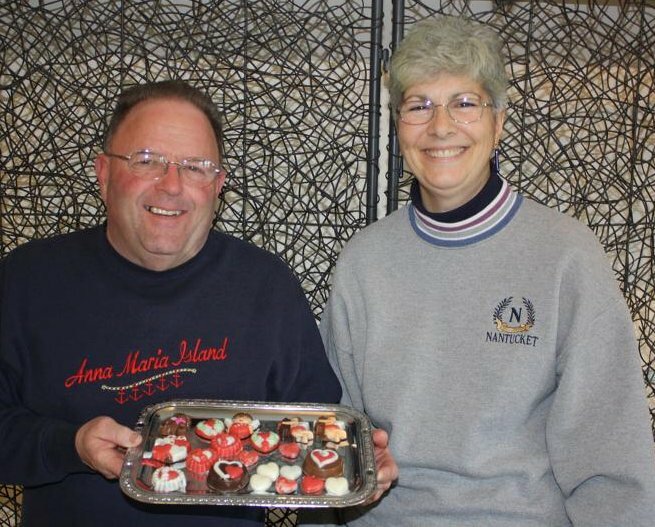 - Two great friends of the farm (and familiar faces at our farm talks) will share what they have learned over the past 20 years in the art of chocolate painting. Find out how to create little chocolate works of art that are almost too beautiful to eat. Chocolate paints will be available for purchase on Saturday, making this the perfect Valentine's project for your sweetie! And, in addition to the above...just in time for Valentines Day...we have some options for DINNER FOR TWO! 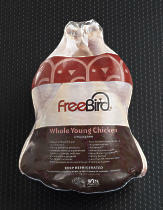 All Natural, antibiotic-free, hormone-free, free-range birds. Still wonderful, just not what we ordered! We have lots of fun events coming up in the next few months. Write these on your calendar so you don't forget! Watch this space for more information as each event gets closer. Show off your skills as a grilled cheese maker! Or come out to cheer on the grillers! 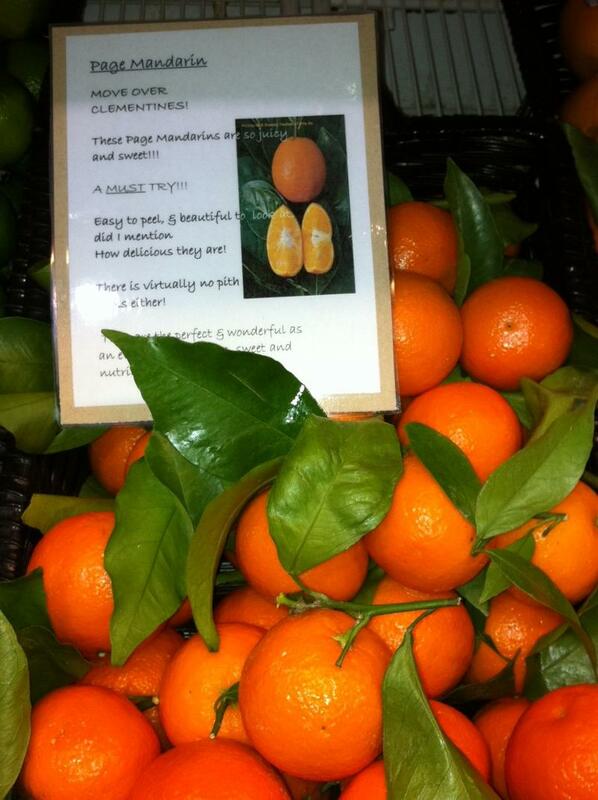 Page Mandarins are a mix between a Clementine and a Minneola tangelo. Medium to small in size with a round shape, their skin is a deep orange. With tender and juicy flesh, they are sweet and seedless! They resemble small oranges, with a wonderfully sweet flavor. Great in salads, or sliced and baked over chicken or grilled fish, we find them to be delicious right out of hand. Hurry though, these are extremely seasonal, and are available only from December through February! It's only a month or so until the traditional pea-sowing date of St. Patricks Day. 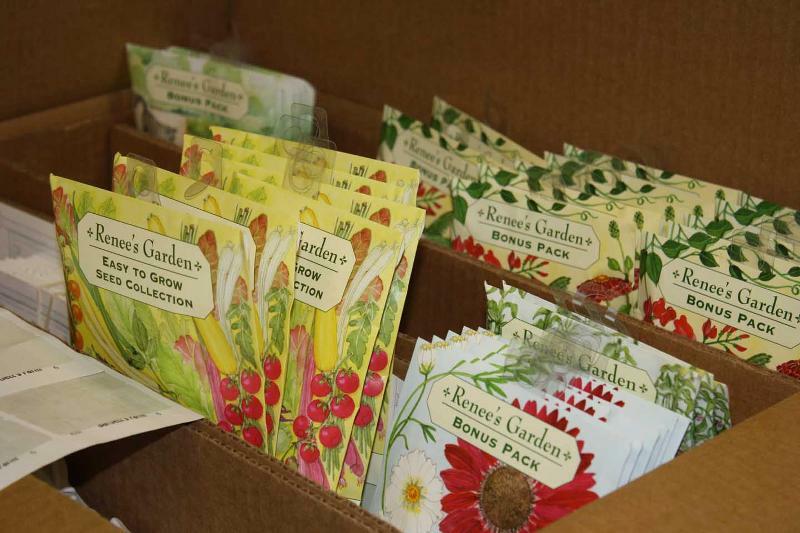 High-Mowing Organic Seeds will be here by the end of this week, and then we'll have the full array of all the garden seeds you will need for your edible landscape! emails (below) for regular emails from the Garden Center!